For the 115th Congress that began on January 2017, I became the Chair of the House Armed Services Military Personnel Subcommittee. In this new position, I deal with a wide range of issue that impact our national security. One somewhat surprising issue the committee is currently confronting is a growing military pilot shortage. Right now, the U.S. Air Force alone is short more than 1,500 pilots and the short fall is increasing yearly. In return for their flight training, most pilots sign an initial service commitment of about 12 years. When their obligated service ends, many, but not all, of these pilots are leaving to fly for commercial airlines. The airlines typically offer somewhat better pay and more significantly, a lifestyle that does not involve lengthy overseas deployments and regularly relocating their families. A recent change in the laws regarding commercial pilots has aggravated the situation. This change increased the number of flight hours a pilot must have to qualify for an Airline Transport Pilot (ATP) certificate. Congress mandated this change in the Federal Aviation Administration Extension (FAA) Act of 2010 after a fatal airline accident in New York in 2009 that killed 50 people. The change in the laws upped the flying hours required for an ATP license from 250 to 1,500 hours for most pilots, but has an exception that only requires military pilots to have 750 hours of flight time to receive an ATP. As a result of these changes, commercial airlines are heavily recruiting military pilots. The cost to our nation when we lose these military pilots is staggering. According to testimony presented by U.S. Air Force General Gina Grosso, hearing on the Military Pilot Shortage, the estimated total cost to fully train a F-35 fighter pilot is approximately $11 million dollars. This is in addition to the impact these losses have to the readiness of our military for combat. As a nation, we simply can’t afford to lose these experienced pilots. 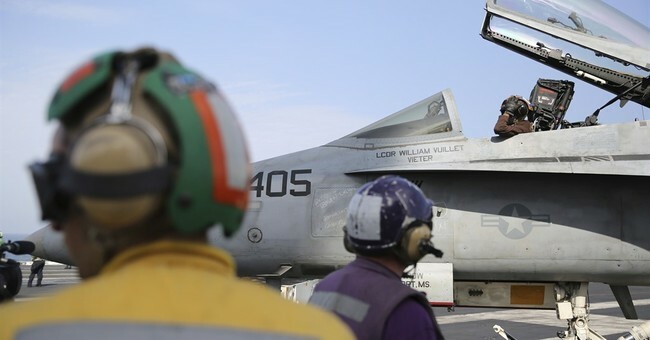 Currently, each branch of service is developing plans to retain its pilots with ideas that include everything from reducing nonflying collateral duties, to increasing the incentive pay for pilots to remain on active duty. It is clear to me that the military can’t simply buy its way out of this problem. I hear regularly from pilots that their decision to leave is not simply about the money. So to tackle this problem I propose we take a number of different steps. First, on May 22, 2017 I sent a letter asking the House Transportation and Infrastructure Committee to review the increased flight hour’s requirement. The letter urges it to include a requirement in the Federal Aviation Authority Reauthorization Act, to have the FAA revisit the flight hour qualifications to see if they can be reduced without compromising safety. Second, I am pushing the Air Force to take a look at placing more flying slots in the Air Force Reserve and in the Air National Guard. The Reserve and the Guard aircraft are largely flown by pilotswho have completed their initial active duty obligation and are fully trained. Pilots in the Guard and the Reserve typically are now pursuing a commercial aviation career but are also willing to stay current as a military pilot and are willing to be mobilized, as needed. The accelerating pilot shortage impacts both military and commercial aviation and to solve it we must look at these ideas and more. Congress must make sure that the military has the additional tools to make longer active duty service more attractive, consider redistributing flying slots to the Guard and the Reserve, and take a closer look at the “1,500 hour rule” that discourages talented young men and women from entering into the commercial airline industry and forces the airlines to recruit military pilots. Solving this challenge will not only have a positive impact in our defense capabilities, but will also have an impact on our national economy-- as commerce and trade, both nationally and internationally, is enhanced when planes are taking off on time and safely with qualified pilots at the controls.